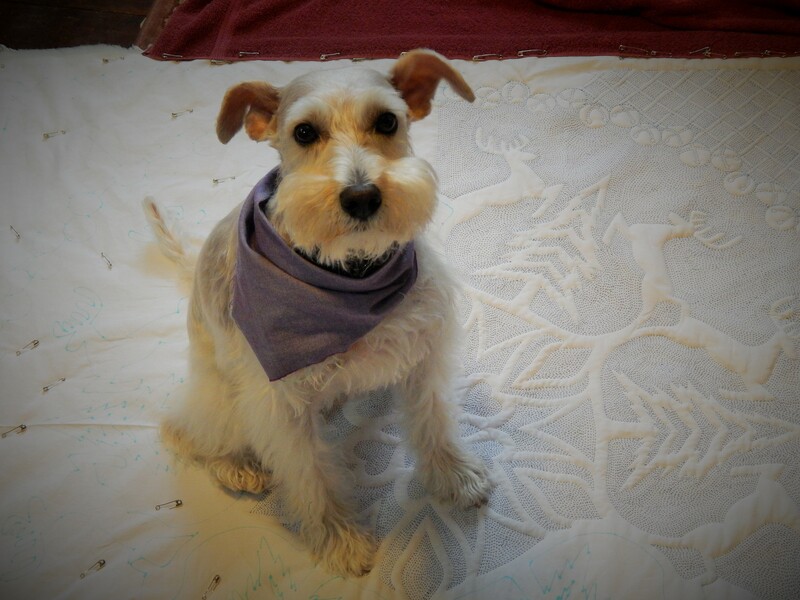 Teddy has been thinking about this quilt……I think he is trying to calculate how much more work it will be to finish it. He doesn’t know this one will be a wall hanging and he won’t be able to sit on it when it is done. I have about 1/4 of it finished. I started work on the Batik Project. since there are so many long skinny points on this I am going to paper foundation piece it. I printed up a pile of patterns. I don’t do Paper piecing very often so I am very slow! but it does make for much greater accuracy than I would get by cutting the pieces with templates and then trying not to stretch out all those points. and only 99 to go. 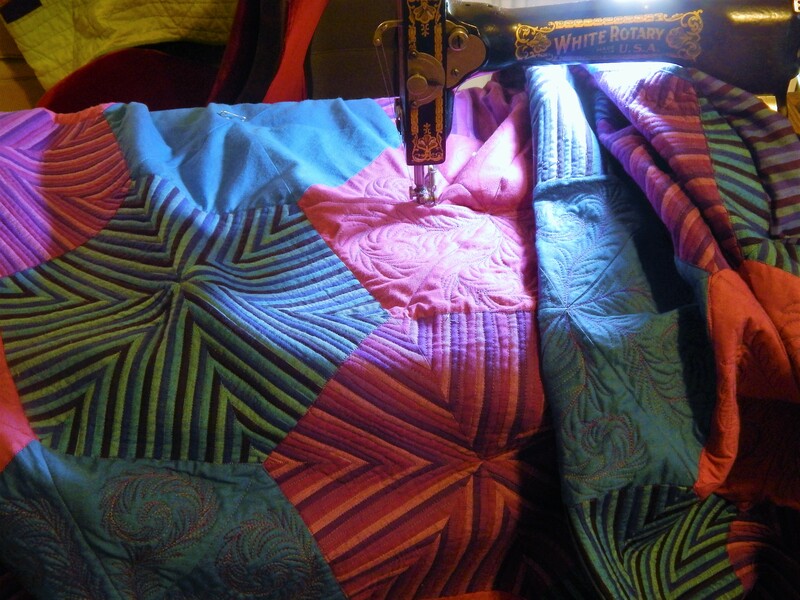 This entry was posted in Quilts and tagged batik fabric, hand quilting, whole cloth quilt. Oh Gosh Tim I don’t have words to describe how beautiful your snow-flack is looking, I was wondering what you would do around the edge to complement the centre. be beautiful but not take away from the centre and WOW you have done just that, it is exquisite. It is going to be a show stopper for sure. Your first block of the batik blocks is very exciting too, I’m looking forward to seeing these grow it will look stunning hung next to snow-flacks such a contrast. Thanks for the endless photo’s and great lessons. Cheers Glenda Australia. 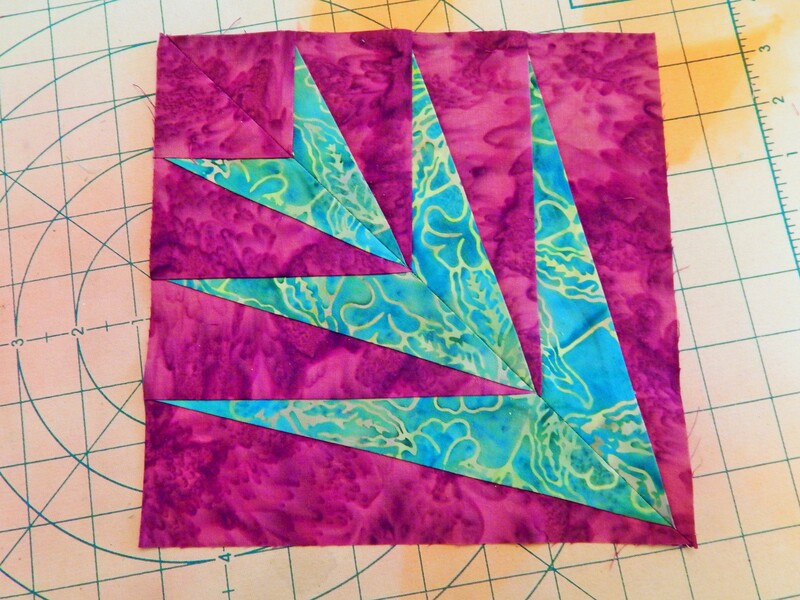 Tim this block you’ve made for your batik quilt, is it 6″ finished? 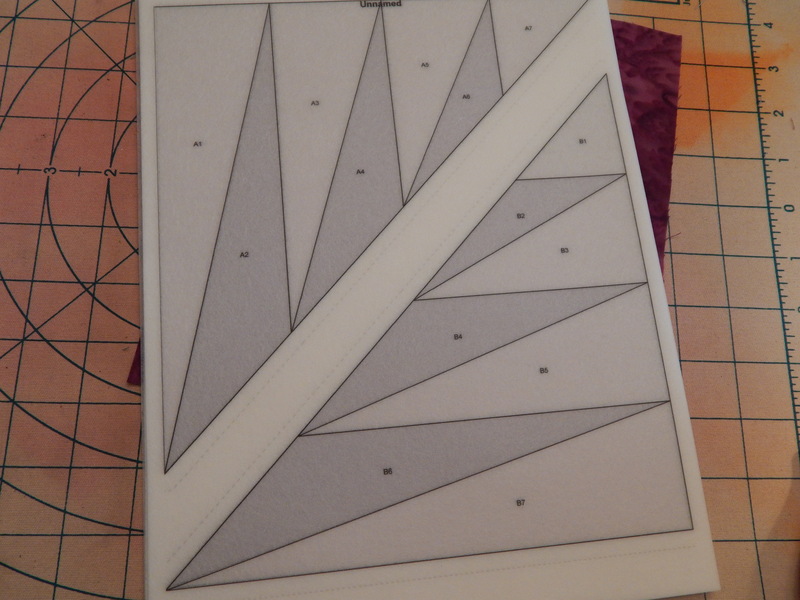 I’m in need of a 6″ finished block, adding four together to make a 12″ finished block. I don’t see it in your patterns. Do you have it online anywhere? May I use it? Thanks for the info. Crud. 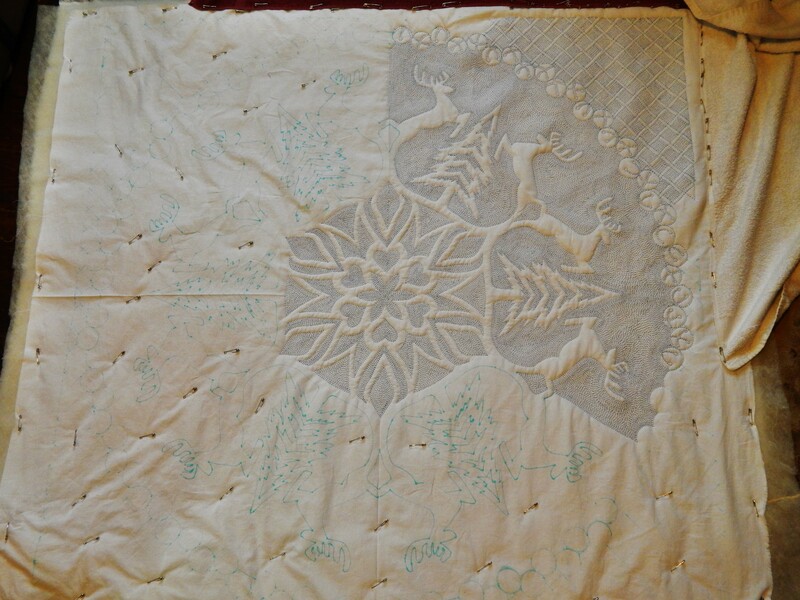 Beautiful progress on the snowflake quilt! And as fast as you work, I’m expecting the other 99 to be almost done by the end of Labor Day. Tim- just remember – the journey of a thousands miles, begins with one step. You’ll be surprised at how quickly it will go – especially with Teddy’s excellent supervision! Your new foundation paper quilt block is lovely and makes me want to do something like this. 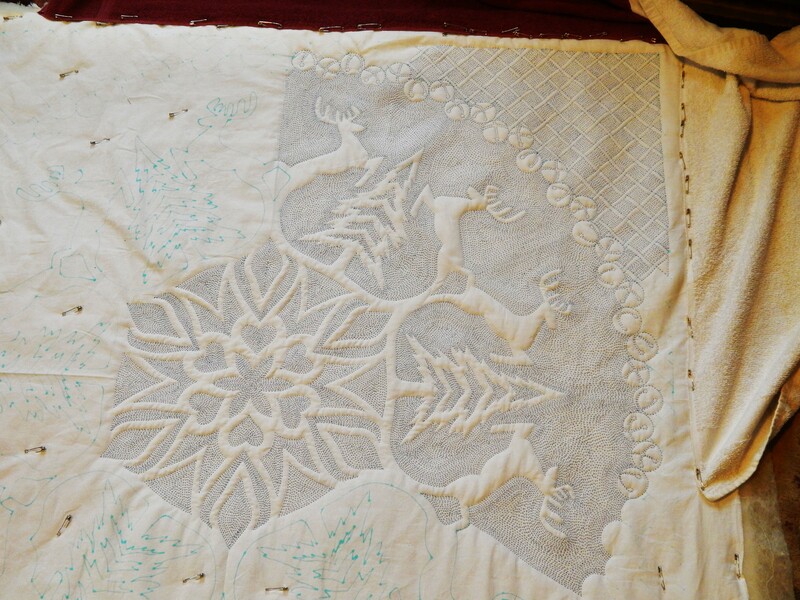 You sure give us some beautiful quilts for inspiration. Teddy is such a good helper and companion. Keep up the good work Teddy. You too Tim. Teddy is waiting for Christmas and I am a post behind! 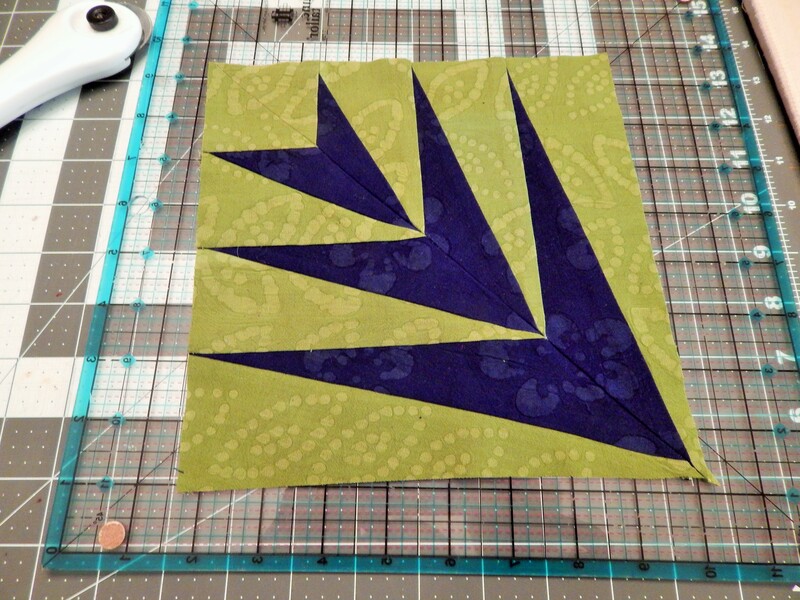 I can see that paper piecing is indeed foundation piecing. 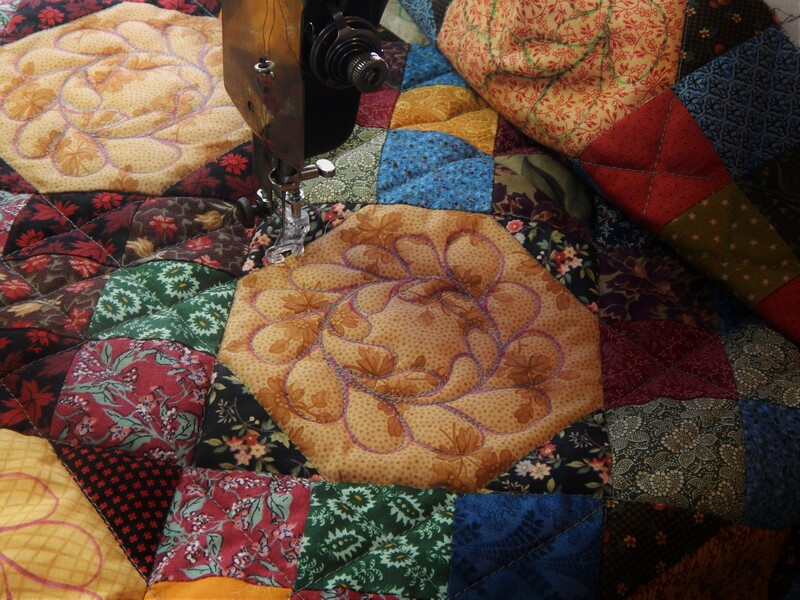 Beautiful project and beautiful quilting as always! all i can say is, you are amazing! Tim, I love your new batik quilt! 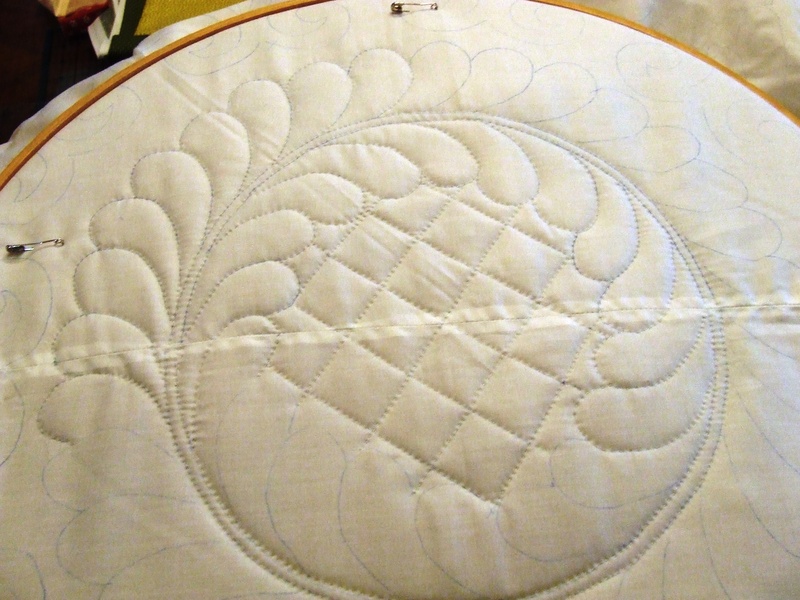 It’s fun to see a new piecing project by you. 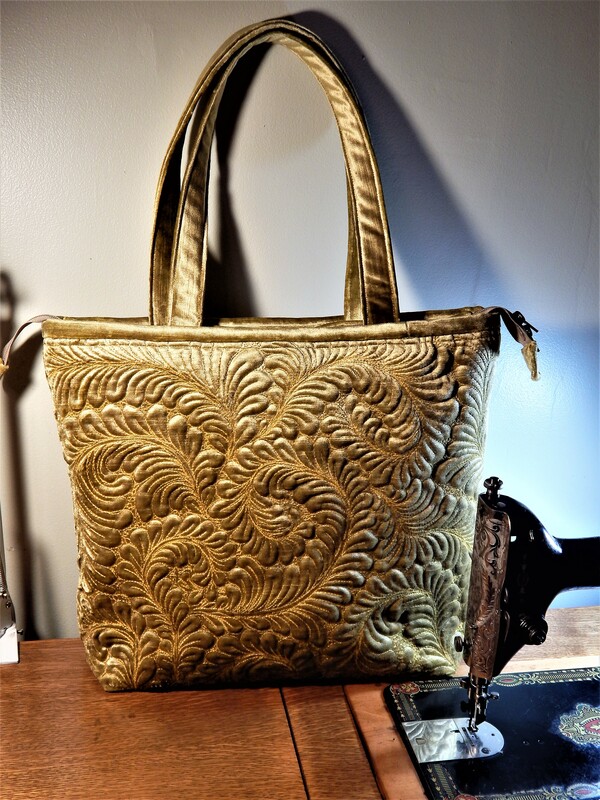 Are you machine stitching the blocks? 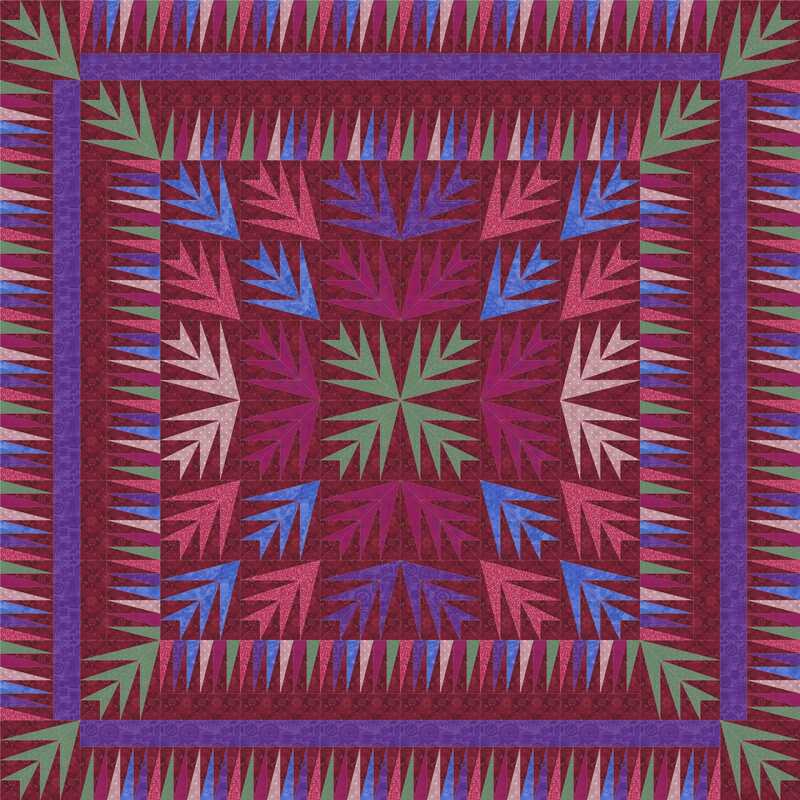 Your batik quilt will be gorgeous! I myself LOVE to paper piece. The accuracy is amazing and it’s just plain fun. Thanks so much for taking the time to post your progress. Teddy is so cute sitting there! He sure knows how to pose. 🙂 love your paper piecing project!! Going to be fun watching this one ,too.